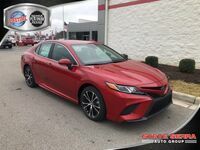 Serra Toyota of Decatur is proud to provide Decatur-area car shoppers with a wide variety of new Toyota vehicles each and every day of the calendar year. Whatever you may be looking for—power, technology, fuel economy, or anything else—please know that there is a Toyota vehicle for it. 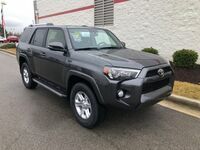 Moreover, chances are that it can be found right here at Toyota of Decatur. Take, for instance, Apple CarPlay – one of the most must-have features in recent memory. With it, drivers can stay connected to their iPhone while on the go. Not only can they make and answer calls, but they can also respond to text messages via Siri. In addition, Apple CarPlay provides its users with access to their iTunes library, Google Maps, and so much more. Simply put, Apple CarPlay is an optimal way to get where you need to go while also staying connected every single mile. Now, where can you find Toyota vehicles with Apple CarPlay in Decatur, AL? Right here at Serra Toyota of Decatur, of course! So, which Toyota models offer Apple CarPlay? 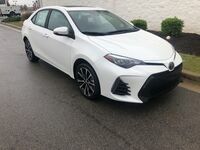 The 2019 Toyota Corolla Hatchback, Avalon, and RAV4 are among the first to offer it, but they aren’t the only ones. 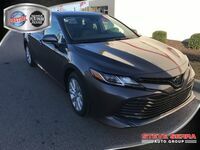 In recent months, Toyota announced that the 2019 Camry and Sienna are also proud recipients of Apple CarPlay. 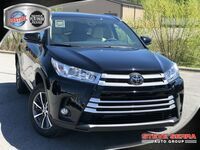 To that end, the list of Toyota vehicles with Apple CarPlay is sure to continue growing in the months and years ahead, but—for the time being—you can comfortably expect to find this must-have system in the aforementioned models. To finance or test drive a Toyota model with Apple CarPlay in the Birmingham area, hit the button below. When you do, a pop-up form will appear. Please fill out the form with your contact information as well as the nature of your request. Then, once you’ve submitted it, a member of our team will get in touch with you shortly.